We are a public center for research in terrestrial ecology, global change and the analysis of the territory that pursues excellence in knowledge generation and transfer, methodology development, innovation, training and dissemination. Our center has more than 200 scientific, technical and administrative staff from different countries, working together for the progress of an environmental research of excellence. We work to ensure a fair and transparent recruitment, to promote equal opportunities and to improve the evaluation procedures. We have received the HR Excellence in Research award from the European Commission, which shows the commitment of our center with the transparency of the recruitment procedures, based on merit and ability, and promoting attractive working conditions, in accordance with the European Charter for Researchers and the European Code of Conduct for the recruitment of researchers. CREAF is seeking for a communication technician, to be part of the GROUND TRUTH 2.0 project team to support the RitmeNatura citizen observatory, which has been developed following the general methodology designed by the Ground Truth 2.0 project, funded by the European Union under the Horizon 2020 program, grant agreement n. 689744. The work contract has a planned duration of 7 months. 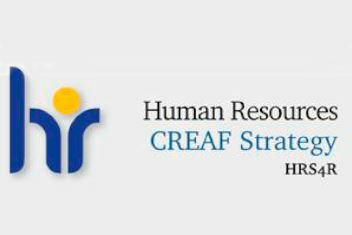 El CREAF precisa incorporar un/a administrativo/a contable para formar parte del Departamento de Administración del centro. El CREAF precisa incorporar un/a “controller” de finanzas / experto/a contable para formar parte del Departamento de Administración del centro. El CREAF precisa incorporar un/a gestor/a econòmic/a de projectes de recerca amb finançament autonòmic, nacional i europeu, per a formar part de l'Oficina de Projectes del centre.